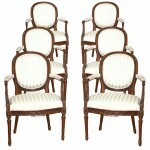 Listed as a pair but at the time of listing I have 4 of these in similar condition and the price listed is for one pair. 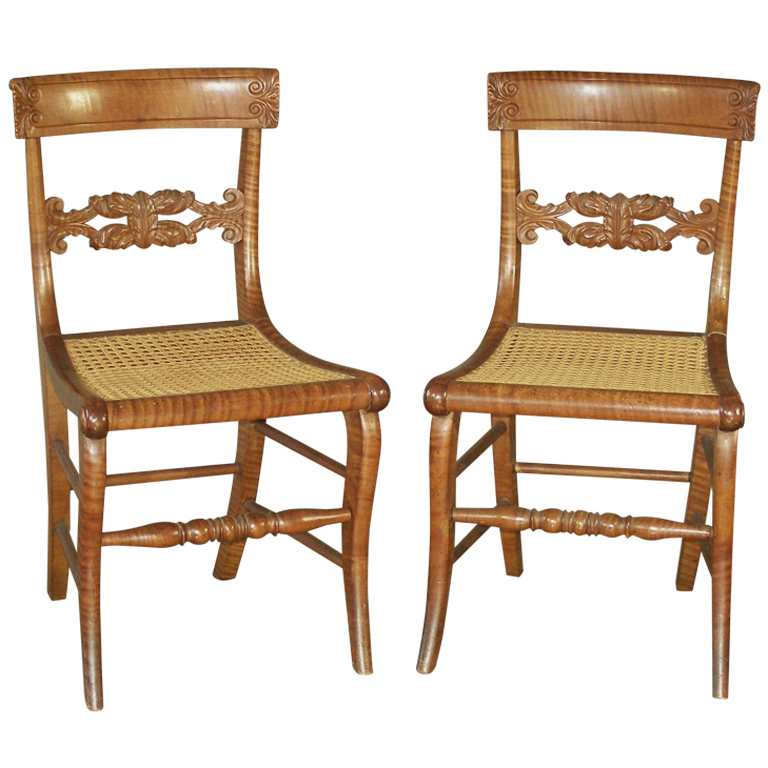 They are Federal Period Pennsylvania side chairs made primarily from tiger maple, ash/hickory side and rear stretchers and hand woven cane seats. 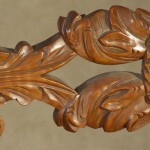 The back tablets have incised lines with leaf carving at each end. 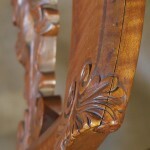 The central back splats have deeply carved leafage and scrolls. 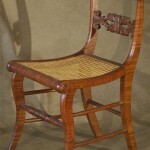 Chairs typically with cane seats are referred to as having separate summer and winter uses. 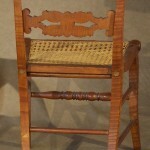 Cushions were typically made to apply for winter and the open cane was to provide air circulation in summer. 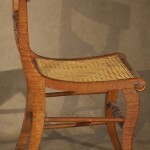 Numbers of similar chairs have been associated with the Philadelphia area. I’m willing to sell these in pairs instead of the four as a group. 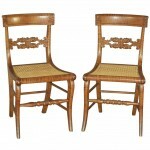 They are identical and all in similar condition with a very old, possibly original surface. Inquire to buy four if still available. Excellent. 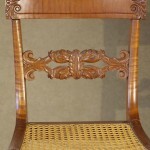 These chairs retain an early surface which exhibits the characteristics of age that are normally scraped and sanded away by overly aggressive restorers. 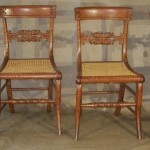 the cane seats are taut with only a few breaks. The joints are tight. 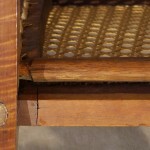 The rear stiles at the tops have some open and some filled original screw holes as are the center of the rear styles filled. 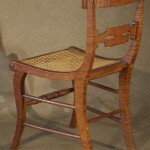 One chair has an old repaired crack on a rear stile just above the seat and another chair has an old repaired crack just below the junction of a lower side stretcher. For their age they are quite sound.